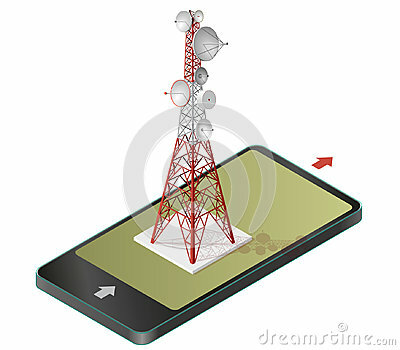 Vector satellite tower in mobile phone, transmission isometric tower. Vector satellite tower in mobile phone, transmission tower. Telephone and television signals in communication technologies, paraphrase, isolated on white background. Red-white isometric building.